A licensed Electrician installs, maintains and repairs electrical wiring and other components in homes, businesses and industries. 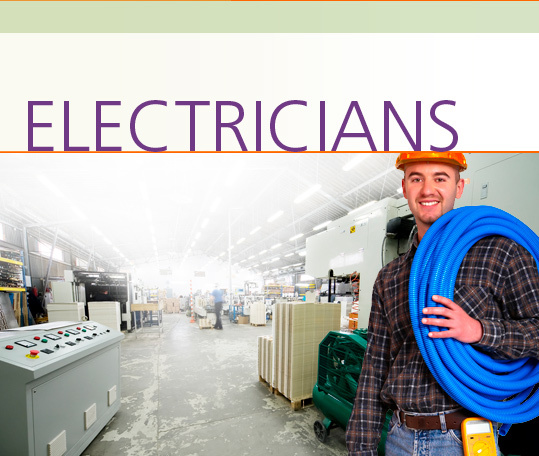 Some electricians specialize in maintenance or construction, but many work in both areas. In the Electricians Career Extension, students learn how to interview for a job and discuss their education, training and work experience. They talk about equipment and supplies, and explain a blueprint, an electrical problem and the steps to install an alarm system. They learn to follow and give instructions and how to diagnose a problem. They learn how to deal with feedback from both clients and superiors and talk about their strengths, weaknesses and goals for the future.